Dr. Gary Wood is the author of Unlock Your Confidence, a social psychologist, solution focused life coach and broadcaster. 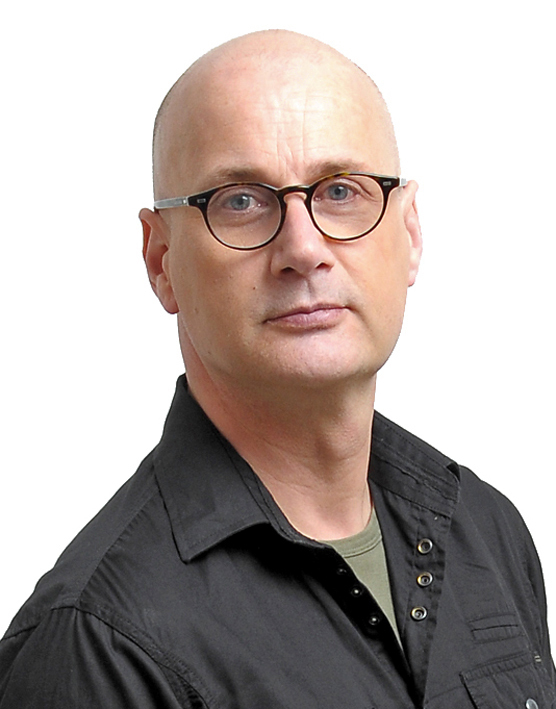 He has taught psychology, learning skills, sexual health and research methods in several UK universities and is widely cited in the press offering psychological insights and coaching tips. 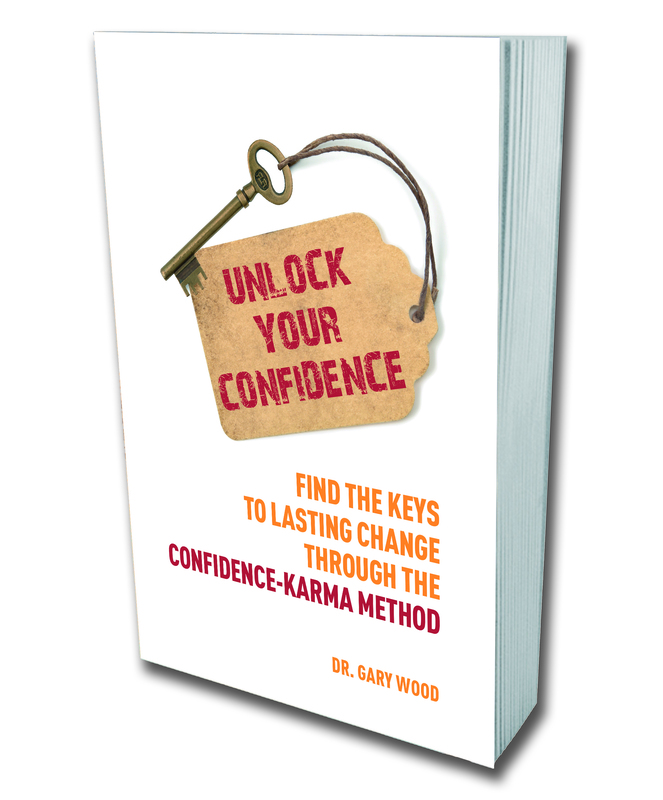 Gary will introduce Confidence Karma on October 8 at Watkins bookshop. Which books and author inspired you to get started writing, and what inspired you to write Unlock Your Confidence? Coming from an academic background writing came with the territory. So my main sources of inspiration are first from writers within and around evidence-based psychology. Working as an agony uncle in magazines often meant that I had to address problems in very few works. It forced me to communicate real psychology in a more accessible way. When I did a professional development course in Solution Focused Brief Therapy it revolutionised my approach to my work as a coach because of its simplicity. When I decided to write a self-help book it was logical for me to start with writers, researchers and therapists from Positive Psychology such as Martin Seligman. His book on Learned Optimism was a life changer. It offers a simple way of actively creating hope by altering the way we explain positive and negative events in our lives. Unlock Your Confidence began life as a confidence-building workshop in which I got to took ideas from psychology, coaching, teaching practice and theatre improvization and road tested them. In my workshops I’m usually led by the group dynamic so no two workshops are ever the same. Writing the book gave me an opportunity to order and structure the material so that it tells a story. I invite the reader to take part in this story and add their own material so that it will be a unique experience for everyone. More than just a book of answers it helps to create a platform for asking better questions. I also wanted the book to give a flavour of what it’s like to be in one of my workshops or have coaching with me. 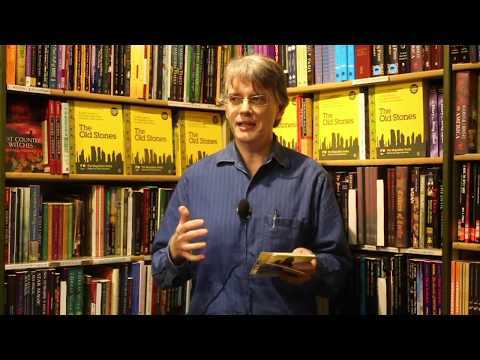 However, by the nature of this workshop-led, coaching-led process, since writing the book I now have a wealth of new material and exercises that may find their way into future books, if and when the muse strikes again. I do make the point that it takes me longer to live the books than it does to write them. What the readers get are all the short cuts. What is your particular take on confidence-building? 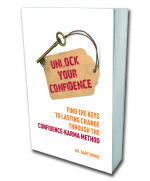 In Unlock Your Confidence I introduce the concept of Confidence-Karma, which is essentially the idea that we boost our own confidence as we focus on building confidence in others. Rather than being able to put on a show and dominate a space, confidence is all about being able to relax and feel comfortable in your own skin. Confident people put other people at ease. Basically I wanted to put a bit of social conscience back into self help. Confidence is an attitude and a process rather than a character trait. In the book I want to instil the idea that rather than being in short supply there is plenty of confidence to go around simply because we all co-create it. I guess the goals and intentions of every writer is to educate or entertain and I hope I do both. When my previous book Don’t Wait For Your Ship to Come In. . .Swim Out to Meet It! was translated into French, when I got my copy, the first thing I did was look for my jokes. I only have basic French language skills but I was relieved to see that my jokes were not lost in translation. Coming from an academic background, I suppose another key goal is to raise the bar on self-help books. I’m not sure if I have achieved this. There are so many myths endlessly perpetuated in self-help circles that I’ve attempted to challenge. Things like we only use 10% of our brains. Not true. It takes 21 days to form a habit. Not true. There are loads more of these. I don’t see it particularly helpful to have someone’s personal development hindered by myths. Sometimes it can foster in people a sense that they are not ‘normal’ when it truth they are trying to ‘smush’ themselves in false-facts. Good word ‘smush’. Most importantly I aim to translate evidence-based psychology in to workable, meaningful solutions. I’m also a strong advocate of encouraging small, meaningful changes rather than waiting for paradigm shifts. I always work within the realms of human psychology. This informs how I structure the material, so the its most easily processed, and the tips, tools and techniques I pass on. I work the same way as a coach. There’s little mystery and glamour or smoke and mirrors in my approach. It’s totally transparent. So it’s never because I say so, it’s because the evidence indicates so. My main source of empowerment has to be reading. I think I got that from my granddad who was an enthusiastic reader. When I was at university I credit one lecturer with giving me the permission to think. I had always challenged orthodoxies even as a small child and here for the first time was someone saying ‘you can argue what you like as long as you back it up with evidence’. I also have a healthy rebellious streak and don’t like to be told I can’t do something when there’s no logical reason. I was the first person in my family to go to University, although this was as a mature student. So you could say that I tend to do things at my own place. That’s one of the reasons I like Yoko Ono, much to the annoyance of some friends. She doesn’t just buy into the idea that there’s a prescribed order for our lives. We can seize opportunities, take chances and make changes according to our own rhythm and tempo. In my work-life I get to help people on a daily basis and being able to say I made a difference in people’s lives is very important to me. Every month I do a free speed coaching event on-line and it’s so empowering to help people to make a difference in such a short space of time. I’ve also get some inspiring feedback. I was going through a period of self-doubt when someone posted on my Facebook page to say that my book and coaching had changed their life. During a recent coaching event someone told me that Unlock Your Confidence had inspired them to ‘seize the day’. I was so impressed that someone had really taken the book to heart and that it had worked so well for them. It’s quite humbling. I don’t have a recognizable spiritual routine That’s not to say that I haven’t delved into a range of practices from mindfulness, pranayama (breathing yoga) and creative visualization. I can never pass up the opportunity of an interesting workshop. Aside from a little meditation and visualization, morning and evening, probably the most spiritual thing I do is go to a coffee shop and just be totally present in the moment or go for a walk in the park. I also always make a point, everyday, of giving someone a little psychological boost with a bit of small talk, a joke or compliment. Sometimes what we think of as spirituality seems rather abstract. I suppose my take on it veers more to the mundane and practical. A piece of cake is spiritual if you allow it to be. I’m never happier when relaxing and socializing with my partner and friends, going for a walk, visiting new places, a good coffee, playing the fool with my grand-nieces, singing, making people laugh or curling up in bed with a book that I can’t put down until I’ve finished it. I read Mark Haddon’s Curious Incident of the Dog in the Night-time in bed one New Year’s Day. That was a happy day. I’m also an ardent Grecophile so any chance I get to holiday it’s usually in Greece so I can practice speaking Greek. The progress is slow but I still get a kick out of it. You get a whole different experience if you make a little effort. I suppose the test of happiness is what would I do if I won the lottery. I’d probably carry on doing much the same as I do now. I should add that I only play the lottery very occasionally. I only tend to write when I have something to say and at the moment I don’t. I guess I’m on something of a sabbatical. However I do have a couple of ideas bubbling way in the background and, in time, will probably pursue these through self-publishing, partly for personal satisfaction and partly to preserve my sanity. I’ve learned from experience that publishing is a bit of a lottery. easily. Also the ideas evolve as soon as I set them down it would be nice to be able to update the books more so at least I’ll get to place the bets on my own terms. If I’d had a freehand, Unlock Your Confidence would have been called Confidence-Karma and it would have had a slightly more spiritual tone. I intend to revisit it sometime. Of the new ideas, one project is a very simple take on mindfulness that’s almost childlike in its simplicity. The other is about how we can get back in touch with our bodies, based on my experiences with sciatica, everything I tried, what finally worked and the lessons for everyday life. If you’ve read Unlock Your Confidence then thank you. If you’ve got any feedback or questions then please get in touch. I’m quite active on social media especially Twitter and Facebook and would love to hear from you. Generally I encourage people to read widely and not just the kind of things that reinforce their view of the world. It’s good to challenge how we make sense of the world. If reading a self-help book then it’s important to actually put it into practice and try out the exercises. It’s great to read but it’s better to put it into practice.